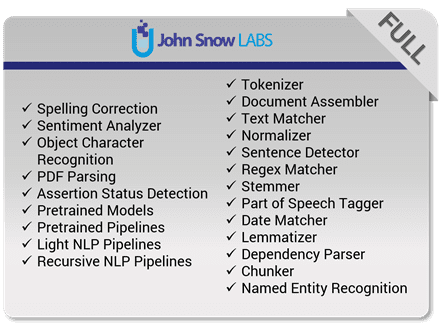 John Snow Labs’ NLP is an open source text processing library for Python & Scala that’s built on top of Apache Spark ML. 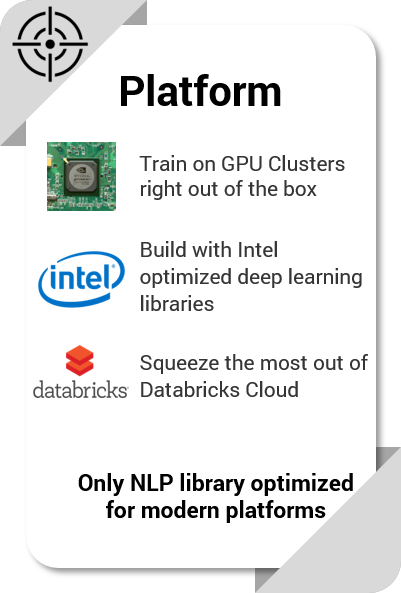 It provides production-grade versions of the latest research in natural language processing – raising the bar on accuracy, performance and scale. 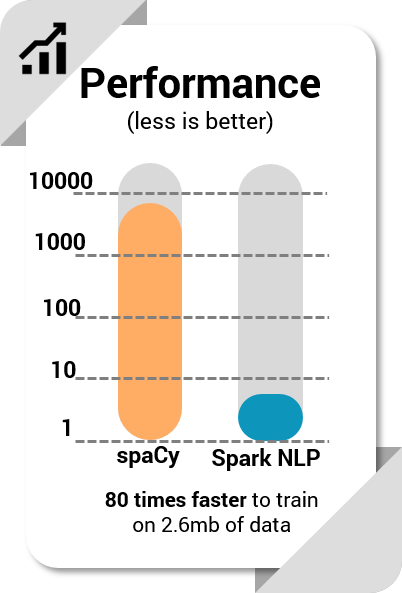 Spark-NLP was 80x faster than spaCy to train locally on 2.6MB of data. 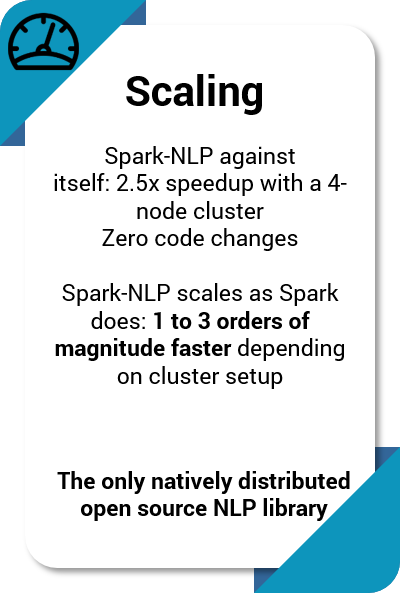 Scale to a Spark cluster with zero code changes. 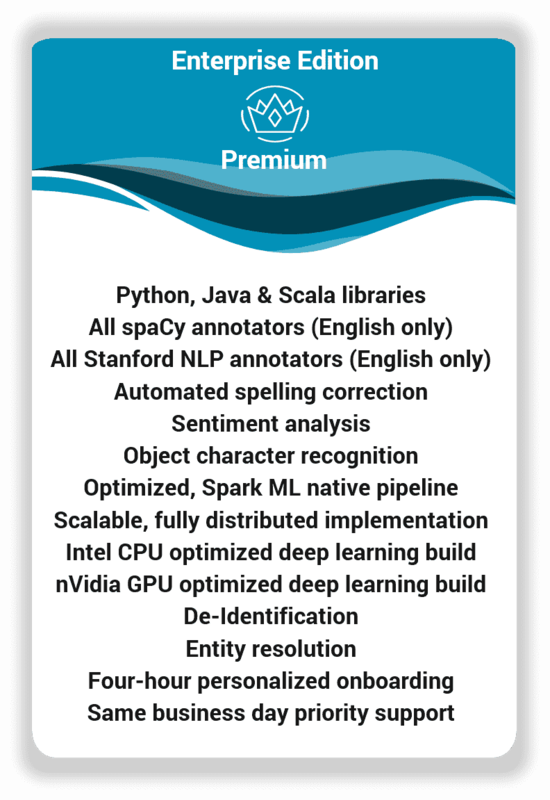 First production-grade versions of novel deep learning NLP research. 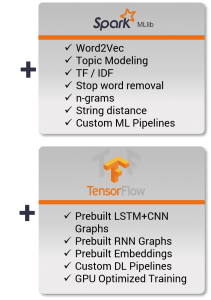 Use pre-trained models to train to fit your data. 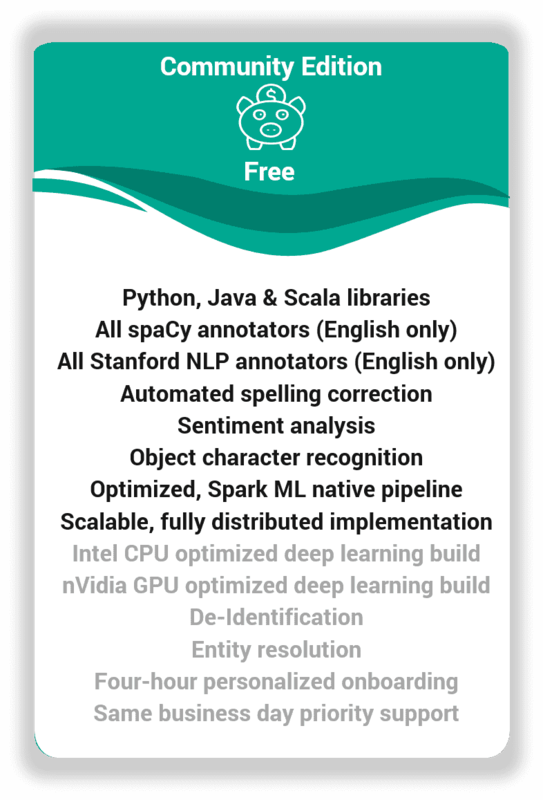 Active development with 25+ new releases in 2018. 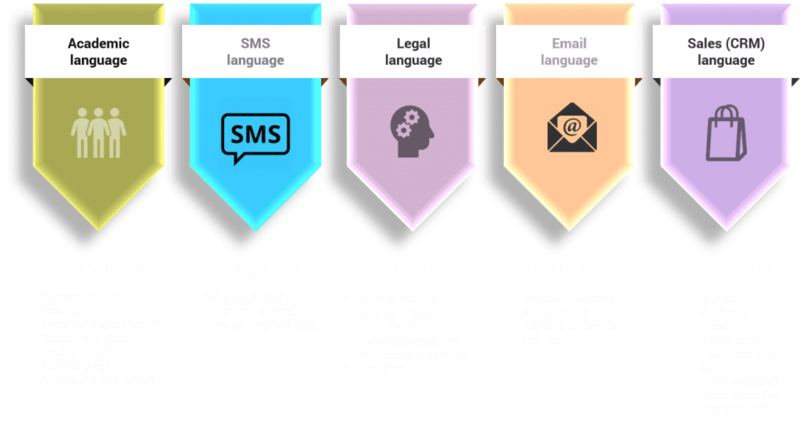 Why Is Language Understanding Difficult?